The item that may receive the most analysis from the whole of this year’s federal budget will be the incnrease of the 32.5% tax bracket, and an expansion of the Low Income Tax Offset. A win for small businesses in this year’s budget sees the retention of the $2o,000 instant asset write-off for another 12 months until 30 June 2019. Also, a limit will be imposed on the amount of cash payments made to a business. There is also a change to the R & D tax incentives as well as a deferral to some Division 7A changes. Following last year’s big changes to the superannuation rules, this year has seen similar tweaks to the super system. We also note that there will be some compliance related changes to the deduction of personal contributions and the audit cycle of SMSFs. 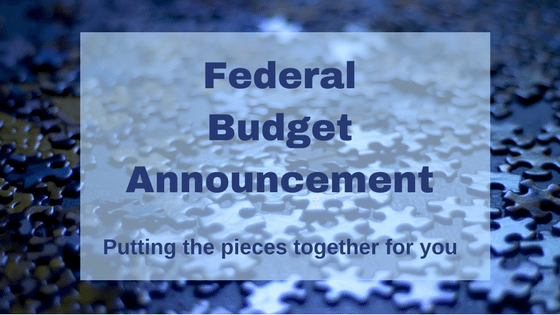 To read our full newsletter about the Federal Budget just released click on the link below.